Indian article published in Mumbia in 1998. A yoga camp was held for the Western Railway police constables recently, teaching them simple yet effective techniques for dealing with day-to-day stress. Also, a session of Sahaja Yoga was conducted in the Mumbai Police Commissioner's office. In fact, one such session was arranged in the Nasik jail in Maharashtra with the permission of the Chief Jail Superintendent. He readily agreed to the idea of a Sahaja Yoga program for inmates. 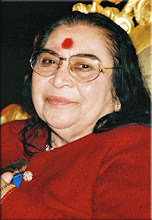 The technique of Sahaja Yoga was taught to prisoners for two hours, everyday, during these sessions. "Yoga techniques are equally effective for police and inmates, alike. These help clear distractions from the mind, and help them pass through a process of self-realisation, resulting in a complete transformation in their lives. 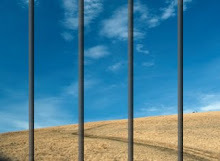 According to jail superintendents, all prisoners often harbour revengeful feelings in their mind. On several occasions, they vent their anger on fellow inmates, following which violent clashes take place. Sahaja Yoga can give them a new perspective, give them self-discipline, and also increases productivity in jails.